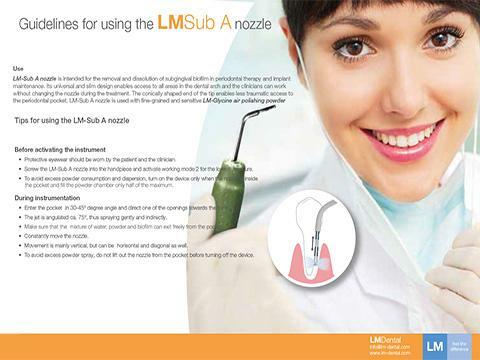 LM Sub A nozzle is intended for air polishing in deep periodontal pockets and furcations. 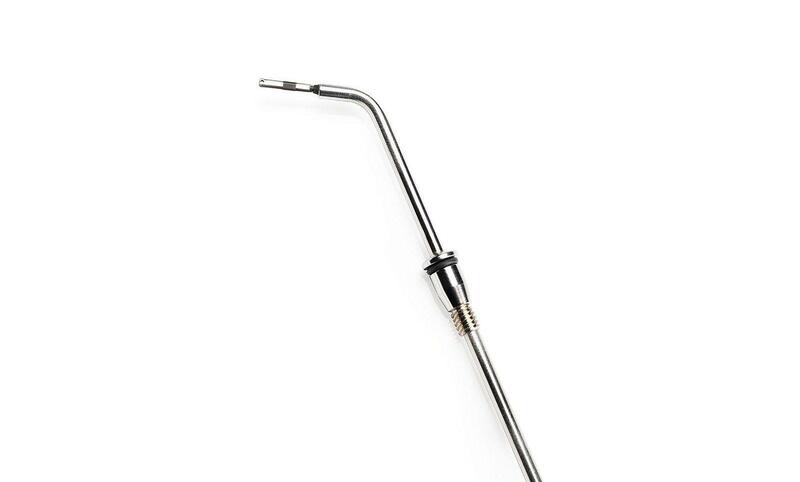 It has an universal design which allows clinicians to work in all sides in dental arch without changing the nozzle. The LM-Sub A nozzle has a lasermarked WHO-scale on it which helps to check the depth of the gingival pocket while cleaning. The nozzle construction has two holes for the jet spray on each side. The holes are situated on the sides of the tip and the direction of the flow is angled towards the tooth and tissue. This makes it more atraumatic than nozzles with horizontal flows. 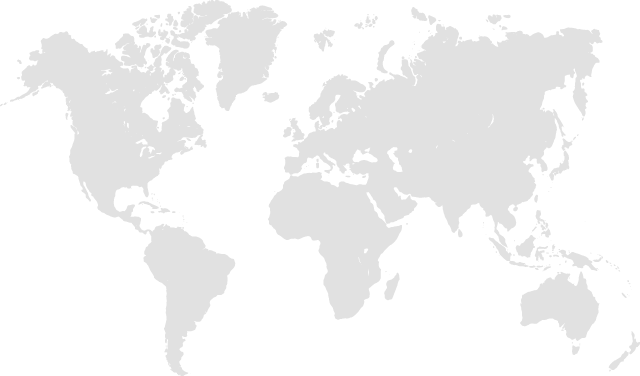 Subgingival air polishing is a safe and effective method for biofilm removal and dissolution. 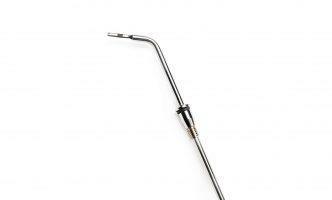 With a specially designed sub nozzle it is easy to access deep periodontal pockets and furcations. 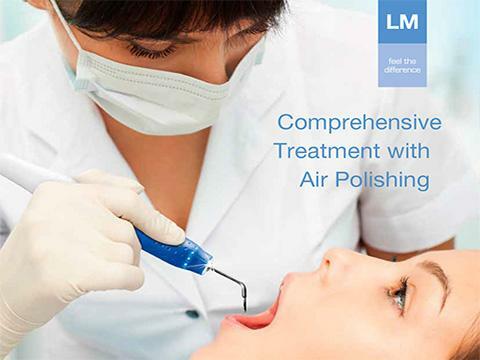 Subgingival air polishing treatment is useful in prophylaxis and maintenance therapy. 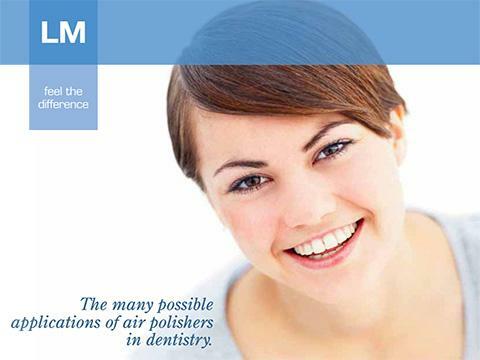 For implant therapy, air polishing provides a perfect solution which is gentle yet powerful.